Chatbots arise due to the society’s needs to communicate via messages. The main scope of a Chatbot is to achieve the interaction of communication between the user and the Brand. That is why multiple companies have already added this service to their platforms, in order to have the opportunity to create a personalized conversation with their costumers. In the following presentation we will go through some examples of business sectors that are already using this tool and see how they work. 2. 01Chatbot Introduction Chatbots arise due to the society’s needs to communicate via messages. The main scope of a Chatbot is to achieve the interaction of communication between the user and the Brand. That is why multiple companies have already added this service to their platforms, in order to have the opportunity to create a personalized conversation with their costumers. In the following presentation we will go through some examples of business sectors that are already using this tool and see how they work. 16. 4.TECH CRUNCH CHATBOT 15 Tech Crunch has launched a cross- platform and personalized news recommendations bot on Facebook Messenger. It will help the readers get the news they want from them in a more conversational way thanks to the Chatbot. 17. 5.CNN CHATBOT 16 The CNN news networks has also launch a Chatbot so the audience can’t research exactly the content they are interest in, avoiding other type of information. The Chatbot works in Facebook Messenger. 19. 1.TRULIA CHATBOT 18 With the Trulia Chatbot for Facebook Messenger, finding a new place to live has never been easier. You can research by location, and makes it easier thanks to a couple of filters to help you find what you are looking for. 20. 2.STRUCTURELY CHATBOT 19 Moving to a new place it’s exciting but research the perfect place could be a daunting and complicated task. Structurely is a real estate that has launched a Chatbot on Facebook Messenger to make the process much easier. 21. 3.TRANSFER WISE CHATBOT 20 UK-based digital money transfer startup TransferWise has launched a Facebook Messenger Chatbot that will enable international money transfer on the platform, according to Reuters. Users in Australia, Canada, the UK, US, and Europe will be able to send and receive funds, as well as set exchange rate alerts. 23. 1.JOHNNIE WALKER CHATBOT 22 The whisky brand for excellence has launched a Chatbot on Facebook Messenger that helps whisky lovers brush up on their knowledge of the drink and find the right blend for them. Through a few questions about taste and flavors while checking in the backend with data base, the bot provides you the whisky you are looking for. 24. 2.SEPHORA CHATBOT 23 For those who love to look always great, Sephora has launched a Chatbot on Facebook Messenger which provides make-up tips and reviews through a messaging interface. It offers the users a quick quiz to personalize the shopping as well. 25. 3.BEER BOT CHATBOT 24 For the beer lovers, there was never an easier way to find the perfect beer. Beer BOT has launched a Chatbot on Facebook Messenger in which offers the consumer all the information possible regarding beers. 27. 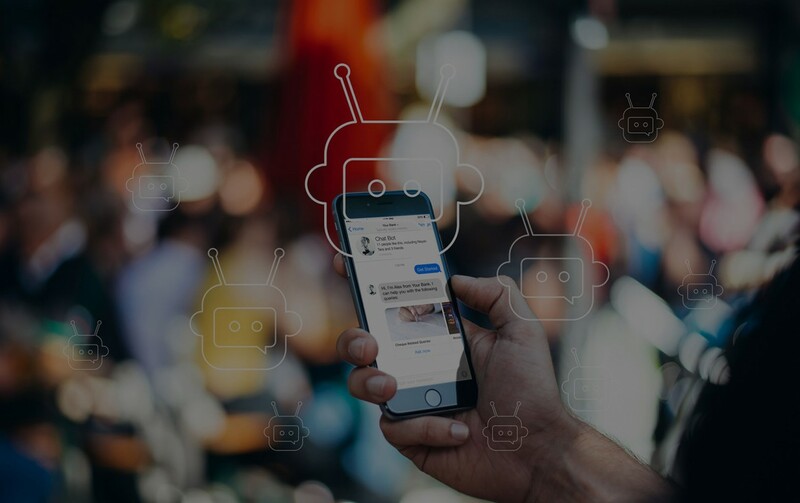 1.KAYAK CHATBOT 26 Kayak has launched a Chatbot for Facebook Messenger after having already one on Slack. The easiest way to search, plan, book and manage your travel. It helps you to find everything you need for your trip, and it keeps you updated. You can also insert an amount of budget you have to plan you vacations. And don’t forget that it provides you the information about the best days to visit the places you’ve got in mind. 28. 2.SKY SCANNER CHATBOT 27 Thousands of people search everyday flights using Sky Scanner. Given to this success the company launched a Chatbot on Facebook Messenger for more outreach. You can plan a trip from one point to another, or let the Bot offer you multiples destinations and ideas of where to plan your trip with the best prices and the best seasons to go. 30. 1.BURBERRY CHATBOT 29 During the London Fashion Week, one of the most popular fashion brands debuted their Burberry Facebook Messenger Chatbot. Now the consumers can buy online the latest collections, capture their favorite look and explore the catalog from their phone. You can also stream the fashion shows and be updated with the new up coming trends. 31. 2.TOMMY HILFIGER CHATBOT 30 The fashion world is living a revolution and Tommy Hilfiger has joined it. Through their Facebook Page you can get in touch with the Chatbot that interacts not just by helping acquiring online but also discuss about favorite styles while at home or on the go. 33. 1.YAHOO WEATHER CHATBOT 32 Don’t let the weather ruin your plans. With the Yahoo Weather Chatbot you can be informed of the Meteorological conditions of any place you want to know about. It’s as simple as introducing an address to get all the information regarding the degrees, rain, wind etc. 34. 1.ADIDAS WOMAN CHATBOT 33 Ladies, it’s your moment to work hard and play hard. Adidas Women offered a Chatbot on Facebook Messenger to join the space for workout warriors. You can navigate through the options to know more about the studio, where it is, what it is, schedule a class etc. 35. 2.HI PONCHO CHATBOT 34 Poncho it’s a friendly Weather- cat who talks to you through their Chatbot on Facebook Messenger. You can provide Poncho the days and the places from where you want to have the weather conditions and he will provide you the information in a very conversional way. 37. 1.QWAZOU CHATBOT 36 Interested in Bots? With Qwazou you can learn and be updated to everything related to Bot using their Chatbot on Facebook Messenger. Share it with your friends, subscribe to updates, submit a bot, view brand new bots… are just few of the options you can select while navigating through the menu. 38. 1.KIGURUMI CHATBOT 37 Shop Onesies with this Shopify store hooked up to a bot. You can view the products, share or buy them. For the final steps the user is redirected to their Home page. 40. 1.FLIGHT BOT CHATBOT 39 Need any information related to flights? Well, with this Chatbot you can get all the answers to your questions about airports, delays, flights, weather and more. Just navigate through their menu and ask whatever you need to know. It’s easy to access their Facebook page, open Messenger and start a conversation.